In CodeNEXT, Neighborhood Conservation Combining Districts (NCCDs) creating de-facto zoning barriers to class and race is not a zoning code. It’s a betrayal of Austin values. Friends of Hyde Park, the largest neighborhood association in Hyde Park, has unanswered questions and grave concerns on why the latest maps for CodeNEXT show the new land development code not applying to the area, resulting in Hyde Park no longer being considered a “core contributing” neighborhood to the recently passed Strategic Austin Housing Blueprint. If the latest preliminary maps for CodeNEXT are approved by Austin City Council, the zoning for Hyde Park will be composed of the same NCCDs in the current code which have proven to inhibit affordability, class and racial diversity. NCCDs applied to Hyde Park (and other core neighborhoods in Central Austin) are a main reason much of current housing stock has become out-of-reach for nearly all Austinites, save upper middle-class and wealthy homeowners. For more information about how NCCDs impact Hyde Park and to view the previous Friends of Hyde Park voting results on a new land development code, click here. Due to Austin’s housing crisis, CodeNEXT was born out of the desire of Austin City Council to correct these current and past systemic barriers to affordability on behalf of all Austinites. The Friends of Hyde Park has been a vocal supportive partner for the development of CodeNEXT and is supportive of the Strategic Austin Housing Plan to enable every Austinite to achieve housing security. The Friends of Hyde Park board considers this result to benefit wealthy homeowners at the expense of our endangered middle and working-class as an affront to Austin values. We will not endorse a CodeNEXT land development code which codifies the 20th Century Jim Crow white-only deed restrictions in which Austin’s first suburb was founded. In the 21st Century, the future of Hyde Park zoning is a forward-thinking map which embraces missing-middle housing and needed density to grow a sustainable and diverse middle and working-class in Austin. Are NCCDs a barrier to affordable housing? Do NCCDs decrease affordability for renters and homeowners? Do NCCDs violate Federal Fair Housing laws (through disparate impact or other violations)? Do/did NCCDs reduce the available housing stock in their respective neighborhoods? Do NCCDs encourage demolition of homes or multifamily structures? Do NCCDs reduce the population density of their respective neighborhoods? Do NCCDs reduce the property tax base in their respective neighborhoods? Do NCCDs increase development pressure on other neighborhoods? Do NCCDs increase displacement and gentrification in other neighborhoods? Do NCCDs violate or are they inconsistent with Imagine Austin? Does keeping NCCDs align with stated goals of CodeNext and Imagine Austin? What impact do NCCDs have along Imagine Austin activity corridors and major roads regarding housing and businesses? Do NCCDs discourage creating walkable neighborhoods with walkable restaurants and businesses? Do NCCDs constitute an opt-in and opt-out process? Has city legal conducted a legal review of NCCDs? If so, what were their findings? Are NCCDs consistent with the Texas Local Government Code and the Austin City Charter? What reasons were provided for the creation of NCCDs by city council, city boards, and commissions? Was the creation of each NCCD transparent and included all stakeholders in the process? Was proper notice provided when creating NCCDs to homeowners that were downzoned and neighborhood residents for the rezoning to an NCCD? Was any part of the process inconsistent with what was legally required to create an NCCD? How many people were involved in the creation of each NCCD? Have NCCDs altered the neighborhoods from their original character before the NCCDs? 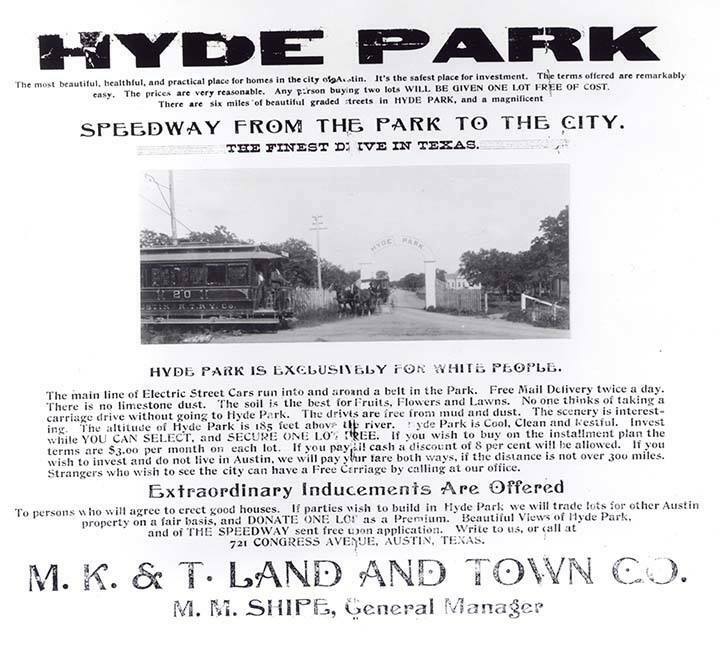 Did NCCDs downzone portions of the neighborhoods that had always been allowed housing (examples: Hyde Park NCCD downzoned many properties along Speedway and Duval)? What impact did this have on housing, affordability, and transit? Do NCCDs encourage or discourage any housing choices? Do NCCDs ban any housing choices (especially housing that has historically been allowed in those neighborhoods)? Do NCCDs create non-conforming uses in their neighborhoods? Do NCCDs reflect the present-day needs and vision that stakeholders have for their neighborhoods or their city? Do NCCDs negatively impact transit options in their respective neighborhoods? ← A Successful Bike to Work Day!